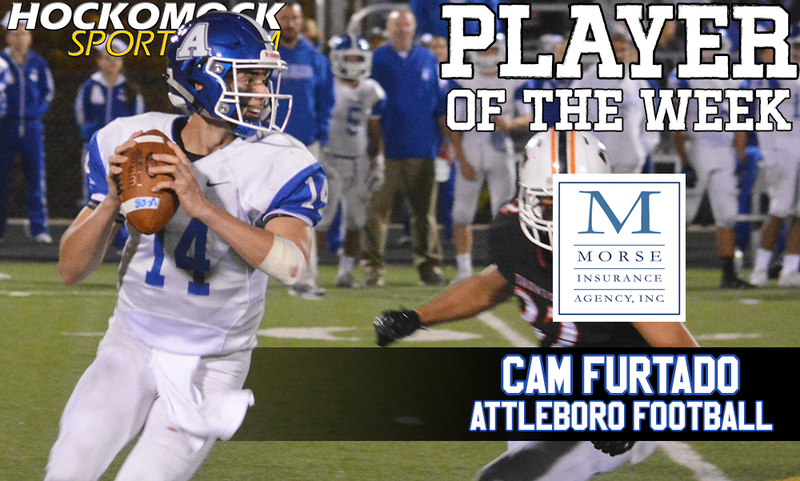 Attleboro senior Cam Furtado has been selected as the HockomockSports.com Player of the Week, presented by Morse Insurance, for Sept. 24th through Sept. 30th. 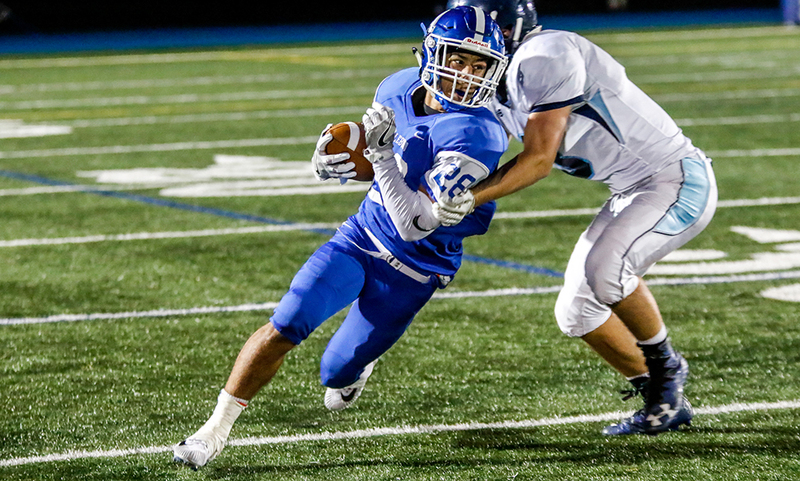 Furtado is the fourth player selected for the 2017-18 school year, second football player chosen this season, and second Attleboro football player to receive this honor. 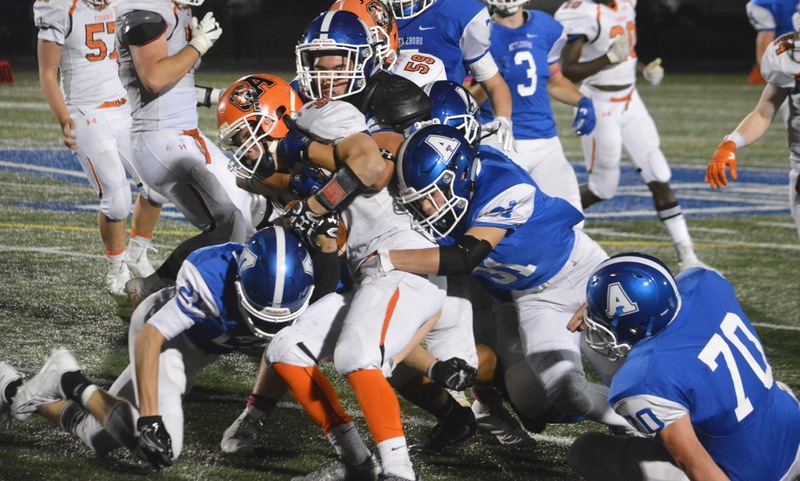 Furtado put in a star performance to lead Attleboro to its first victory of the season on Friday night on the road at Taunton’s Aleixo Stadium. He beat the Tigers with his legs and through the air, accounting for three touchdowns (one rushing and two passing) in a 45-21 victory that evened the Bombardiers’ league record at 1-1. 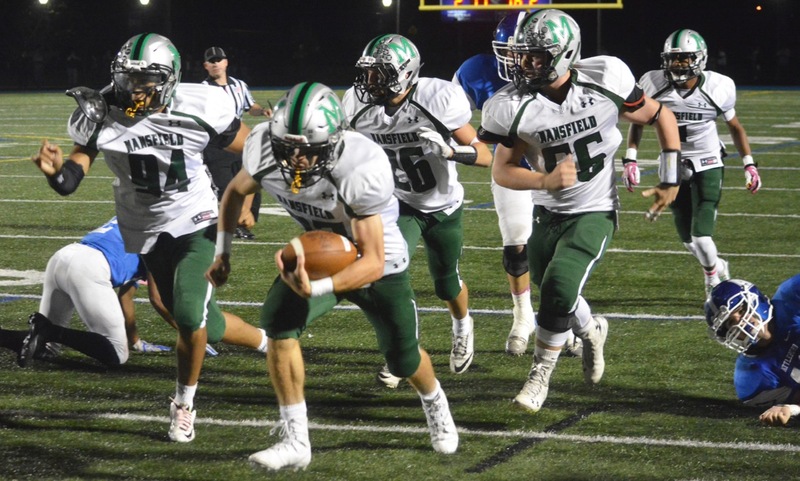 On Friday night, Furtado, who is in his first full season as the starting QB, had 10 carries for 86 yards and also completed 8-of-13 passes for 162 yards. The Tigers struggled to contain Furtado, who scored all of his touchdowns in the opening half, but set up short touchdown runs for his teammates with big plays in the second half. 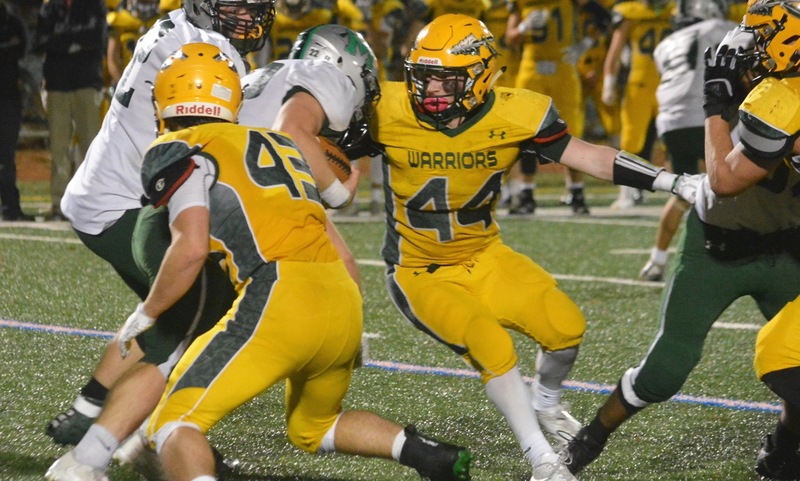 This season, he is tied for third in the Hockomock league with five touchdown passes and tied for fourth in the league with four rushing scores.